Hari Ravichandran is the founder and CEO of iSubscribed, a holding company that aims to develop and collect new data security disruptors. Hari has been involved in the digital world since 1997, and has very recently walked away from his first company to found the new tech start-up. He and many of his colleagues previously worked at his old company, Endurance International Group, which he founded in 1997. By the time he left, Endurance was a publicly traded company with 3,500 employees, and Hari was the CEO. So why did he walk away? Hari had been at the helm of the company he founded 20 years earlier which was publicly traded and generated over $1 billion in revenue every year, but he was looking for something else. 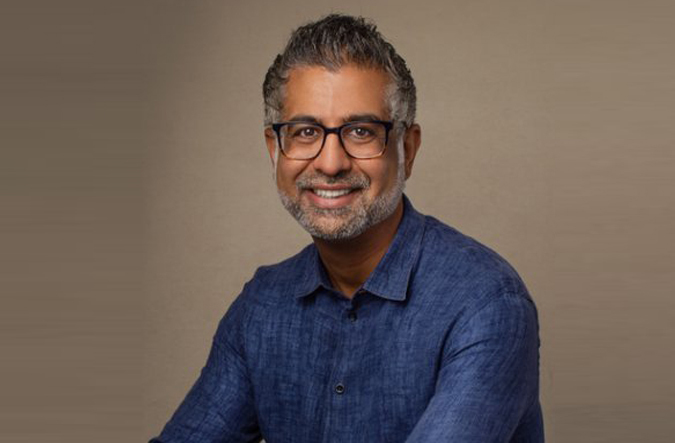 The most exciting time of Hari’s life was when he was building Endurance from the ground up, solving problems, working with customers and developing new software to meet their needs. Despite the success of the corporation, he longed for the excitement and challenge of a start-up. In order to get back to what he does best, and enjoys most, Hari left Endurance earlier this year and started iSubscribed – with his most motivated and capable colleagues. The result is a motivated start-up, with the advantage of having a highly experienced team that knows how to build a brand and platform. The new company has already developed a new easy-to-use antivirus software platform called Intrusta. iSubscribed is the holding company and Hari creates new companies for products that he acquires or develops. A holding company is essentially a parent company that owns a controlling stake in other businesses. Alphabet Inc., for example, owns Google. The benefit of this is that the holding company doesn’t have to directly manage many different products in different areas; instead, they oversee the operations of their subsidiaries. This type of corporate structure enables the subsidiaries to build their brands in their individual niche and increases the overall efficiency of the business. It also means that the CEO isn’t swamped trying to make high-level decisions across different niches, and can focus on one thing at a time. In Hari’s case, this model will allow him to focus on developing software and starting or acquiring new companies. Hari and the rest of the iSubscribed team intend to continue developing new software and creating different solutions for consumers. They are also on the lookout for other promising startups who are passionate about protecting consumers, using their experience in building and scaling a business to realize new ideas as effectively as possible. Hari intends to take the lessons he learned from Endurance and apply them to the new companies he is developing under the iSubscribed umbrella. These lessons are primarily to keep some perspective when making decisions as a new business and developing the right culture to enable a company to grow. When he started Endurance 21 years ago, Hari felt like every decision he had to make was integral for his new business. He needed to find the funding to keep his dream growing. He also felt like taking big risks would be the only way to succeed – and he succeeded in a big way! However, with the experience, he gained he has learned that sometimes the best thing to do is not take the risk, but rather to take a longer view and build the foundations of a stable business. Mind you, this is a lot easier to do with plenty of funding and a holding company behind you than it is as a brand new start-up! Hari also learned the value of developing a strong company culture in the early stages of a business. Many entrepreneurs believe that culture is something that they would like, but developing a business strategy and working on their product is far more important. This attitude leads to a lot of start-ups with good ideas, run by good people, to fail. The main lesson we can take from Hari’s story, however, is that it’s never too late to go back to doing what you love. It is also more important to be doing work that you love than to fit some narrow definition of success.